Want positives? 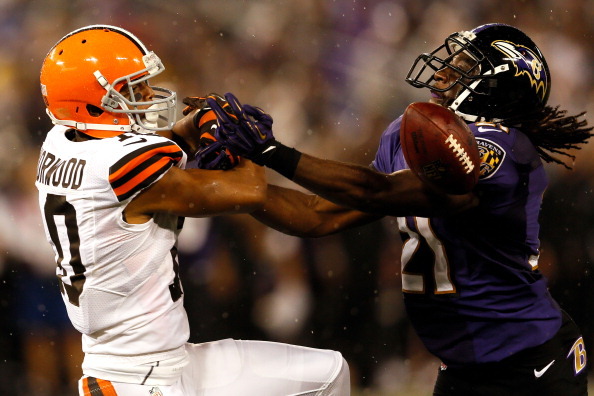 The Browns Thursday night took one of the AFC Super Powers to the final play before falling. Negatives? The team is 0-4 and it seems like every week it’s the same issues over and over. The Browns did put on a good show on National TV Thursday, taking the big bad Ravens to the final play before falling 23-16 at M&T Bank Stadium. They never got the lead all night though, and while the game was competitive, there’s still a rather large shift in talent from the Ravens, a team thinking Super Bowl, to the Browns, a team hoping to win 5 games. Joe Flacco went 28 for 46 for 356 yards, threw one touchdown and ran for another for the Ravens, as he was able to hit the big play all night when he needed to. The biggest play though came from the Ravens D, as trailing 16-10 and with the ball, Browns QB Brandon Weeden threw a pick six to Cary Williams 63 yards later that put the Ravens up for good and with room to spare at 23-10. The Browns got three field goals, all from 50 yards or more from kicker Phil Dawson, and Weeden had the team on the Ravens 18 with two seconds to play. A final hail mary throw went out of the end zone, a flat end to a great chance for the Browns to finally give their fans something to cheer about in 2012. Weeden was 25-for-52 for a career-high 320 yards with no TD’s and one pick. Trent Richardson rushed the ball 14 times for 47 yards and a score, and caught 4 balls for 57 yards. The Browns had little answers in stopping Ravens WR Anquan Boldin, who after just one first half catch, pulled in 8 catches in the second half and led everyone with 131 yards through the air. 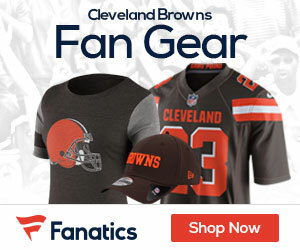 Cleveland played most of the night without Josh Cribbs, who sustained a head injury while returning a kick late in the first quarter. Cribbs had his helmet knocked off and lost the handle on the ball after absorbing a hard hit by Dannell Ellerbe. It was legal tackle, shoulder to helmet, and the officials did not call a penalty. Cribbs lay prone for several minutes before finally rising to his feet and walking off the field. Flacco went 16 for 26 for 186 yards and a touchdown to stake the Ravens to 9-7 halftime lead. After Cribbs’ first-quarter fumble, the Ravens moved to the Cleveland 10 before Browns linebacker Craig Robertson picked off a pass by Flacco in the end zone. It was the first time in 126 attempts that Flacco threw an interception inside the opponent’s 20-yard line. Flacco made amends on Baltimore’s next series, going 4 for 4 and throwing an 18-yard touchdown pass to Smith for a 6-0 lead. Flacco went 4 for 4 on the 85-yard drive, hitting Tandon Doss for 39 yards on a third-and-7 and also connecting with Smith on a 34-yarder. After a Cleveland punt, rookie Justin Tucker kicked a 45-yard field goal to make it 9-0. Weeden then directed a brilliant 11-play, 94-yard march, connecting with Greg Little on a 43-yard completion before Richardson ran in from the 1. On the opening drive of the third quarter, Flacco took the Ravens 89 yards in 13 plays for a 16-7 lead. Flacco completed five passes during the march, including three to Boldin for 60 yards, before the quarterback ran in from the 1 on a third-and-goal. Later in the quarter, Tucker missed the first field goal try of his career, a 47-yarder that sailed wide right.